Feb. 18, 2019 - There’s no doubt that Iran is at the cusp of another revolution. After enduring more than 40 years of tyranny, torture, executions and corruption at the hands of the mullahs, the people of Iran are proving through their continued protests that nothing short of regime change will solve the problems that are plaguing their country. But every building is as strong as its foundation. The stronger the foundation, the more sturdy and resistant the building will be against the test of time. The question is, what is the foundation of a revolution? Awareness, hard work, sacrifice, and the stoic embracing of trials and tribulations, relentless efforts, and giving your all… those are the right elements that create a strong foundation for a democratic revolution in any country. But how do all of these element come together? An organized movement whose members are exclusively devoted to the holy goal of freedom and democracy. Fortunately for the people of Iran, they have a movement that, over half a century, has taken its every step relying on its people and the sacrifices of its members and leaders.  With over 100,000 martyrs during the brutal rule of the mullahs, the People’s Mojahedin Organization of Iran (PMOI/MEK) has established itself as the main Iranian opposition organization and the sole movement that has the capacity and will to free the great nation of Iran from the clutches of its tyrant rulers. Today, the MEK is manifesting its presence everywhere, from inside Iran to every corner of the globe. Iranian Resistance Units are constantly challenging the Iranian regime’s icons and suppressive forces, risking their lives to write slogans in support of the just demands of Iranian protesters and to set fire on banners of Iranian regime leaders. The activities of the resistance units are playing an important role to undermine the regime’s efforts to quell popular protests through show of force and suppression. Meanwhile, the supporters and members of the PMOI/MEK and the National Council of Resistance of Iran (NCRI) are making sure that the world hears about the plight of the Iranian people and the voices of protesters in Iran is not stifled by the mullahs and their cohorts abroad. These are the selfless people who gathered from across the world to hold a glorious demonstration in Paris on February 8, as Iran marked the 40th anniversary of the 1979 Revolution. The demonstrators were there to remind the world that the solution to Iran is not to collude with the regime but to side with the people and their desires to end tyranny in their country. But the Iranian opposition did not settle for a single event. A few days later, supporters of the Iranian Resistance gathered in Warsaw again to be the voice of their oppressed people as officials from dozens of countries attended a ministerial summit in Poland. In their two-day event in Warsaw, the Iranian resistance made sure that the world knew that the mullahs do not represent the people of Iran. The Iranian Resistance is determined to not allow the mullahs to suppress the voices of the Iranian people, who have held hundreds of protests in the past year alone. This spirit of solidarity and devotion is the foundation on which the future revolution of Iran will be built on. And this is what has caused panic among Iranian regime officials and has spurred state-run media and the paid hands of the Iranian regime to try to downplay the Warsaw conference and the activities of the Iranian resistance through the dissemination of falsehoods and lies. But while the regime tries to paint a twisted picture of the Iranian resistance through its media and social channels, the Resistance Units and the supporters of the great opposition movement of the Iranian people continue to challenge the regime inside and outside Iran, in every street and corner. This is why Iranians have reason be hopeful about the future of their country.